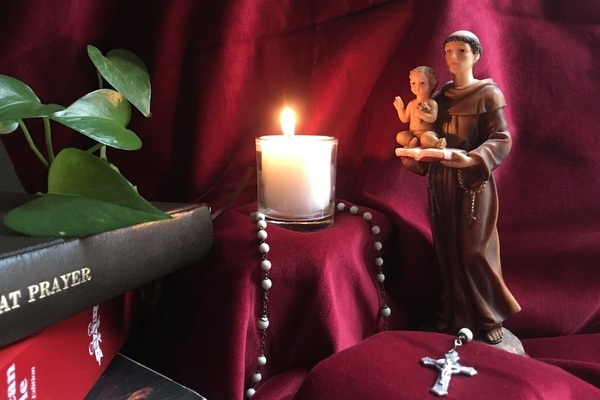 "I just love St. Anthony and have a little shrine in my room." 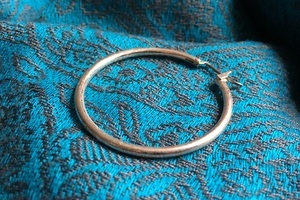 When my mother died, she gave me some money, with which I purchased a pair of earrings. I wore them always. Then I lost one. I searched everywhere and practically took apart my car to no avail. I was very distressed, as they were so special to me. 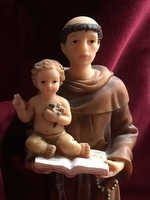 I prayed and prayed to St. Anthony. Then some friends visited from out of state and I drove them around sightseeing. One sat in the back, the other as a front passenger. After they left, I leaned into the back seat to get something and spotted something shining, just peaking out from under the floor mat. And it was my earring! There is no explanation. That mat had been removed so many times and vacuumed and cleaned. I just love St. Anthony and have a little shrine in my room. I always carry his medal in my purse and preach about him to everyone. I always pray to him for the lost faith of one of my daughters, and will keep devoting my prayers for that miracle to happen.